Multi-pattern tube condenser with elegant red finish. 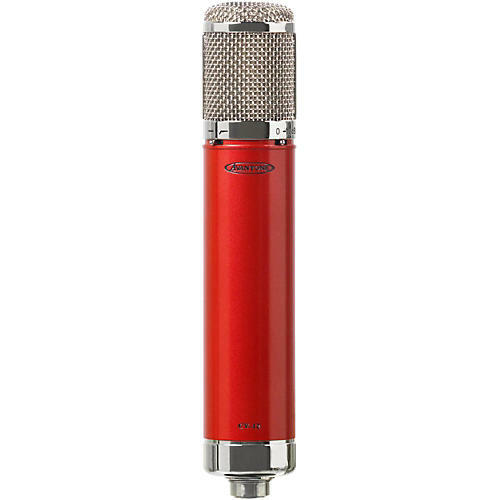 The Avantone "Cabernet (C-series)" are premium microphones designed to offer true professional performance. They will meet or surpass the performance and specifications of some much higher priced mics. The Avantone CV-12 is truly a gorgeous looking and sounding microphone. The design, character and performance are comparable to some of the finest vintage tube mics of the 1950' & 1960', but at a fraction of the cost. The rugged CV-12 microphone body and capsule assembly are precision machined of brass. Aesthetically, it features an elegant Cabernet Wine-Red finish, accented with polished nickel trim and grill. Any studio can proudly offer the CV-12 as a primary vocal mic¦It exudes class visually as well as sonically. Manufactured using the finest materials yielding a very solid feel, superb structural integrity and rugged reliability.